Greetings! 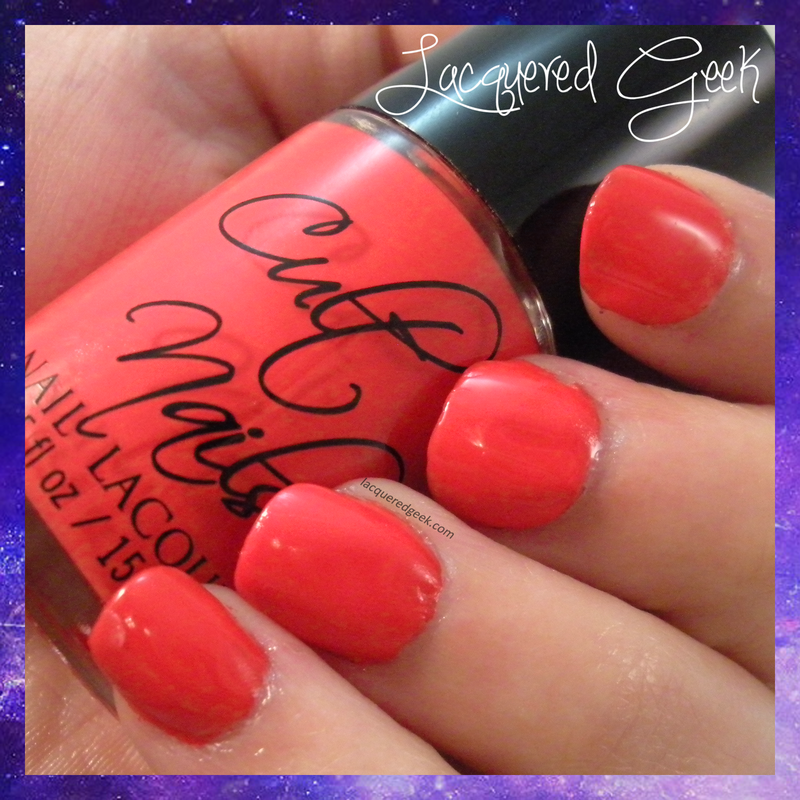 Today, I have the latest collection from Cult Nails to share with you! The "I'm Not Gone, Girl I'm Here!" collection is made up of 3 polishes - Inescapable, Sublime, and Wanna Be. 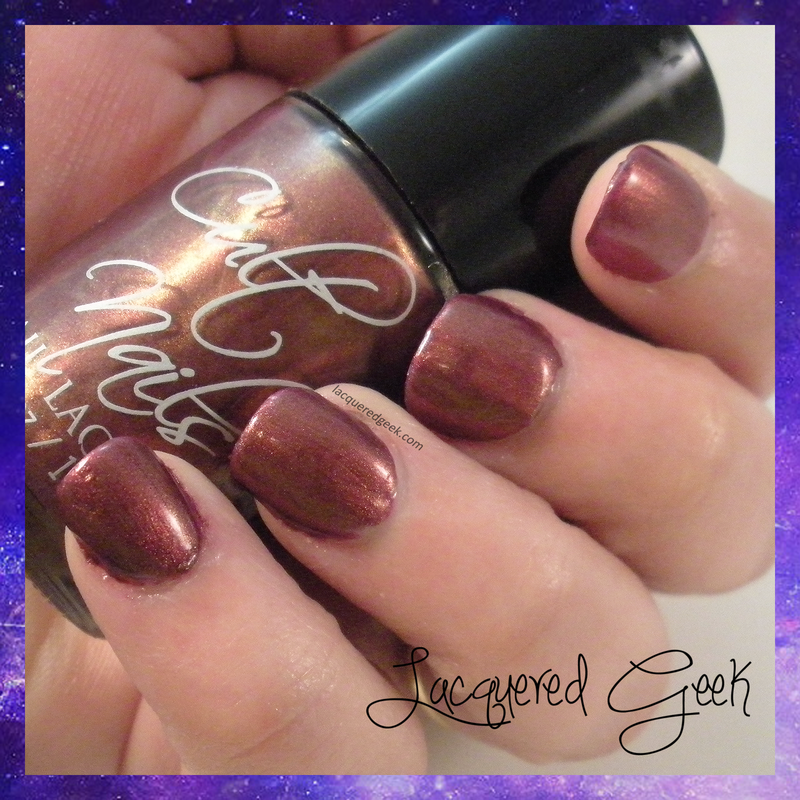 Inescapable is described as a brown jelly packed full of copper/pink shifting glitters. 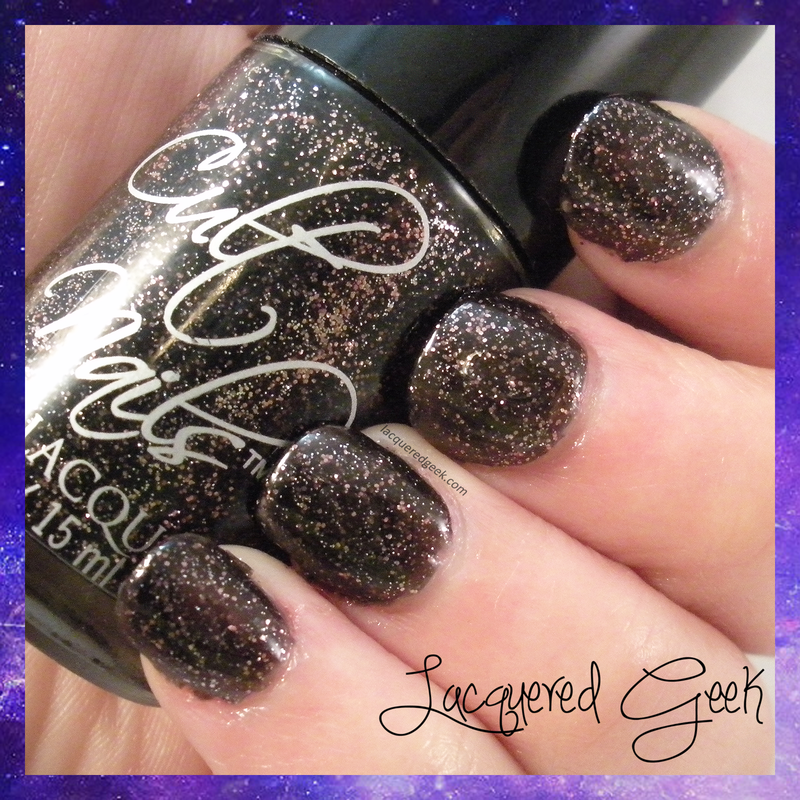 I don't think that I've got any polishes in my collection like this one. It's gorgeous! I'm wearing 2 coats in the photos. Being a jelly, the first coat was quite sheer, but the second coat made it perfect! Sublime is bright orange/red creme. It is so much more intense in person! It was just amazingly bright. I had such a hard time capturing the intensity of this one. The formula was great; self-leveling and perfect in 2 coats. Wanna Be was the biggest surprise of this collection for me. It was the one that I was least excited about, but it ended up being my favorite of the collection! 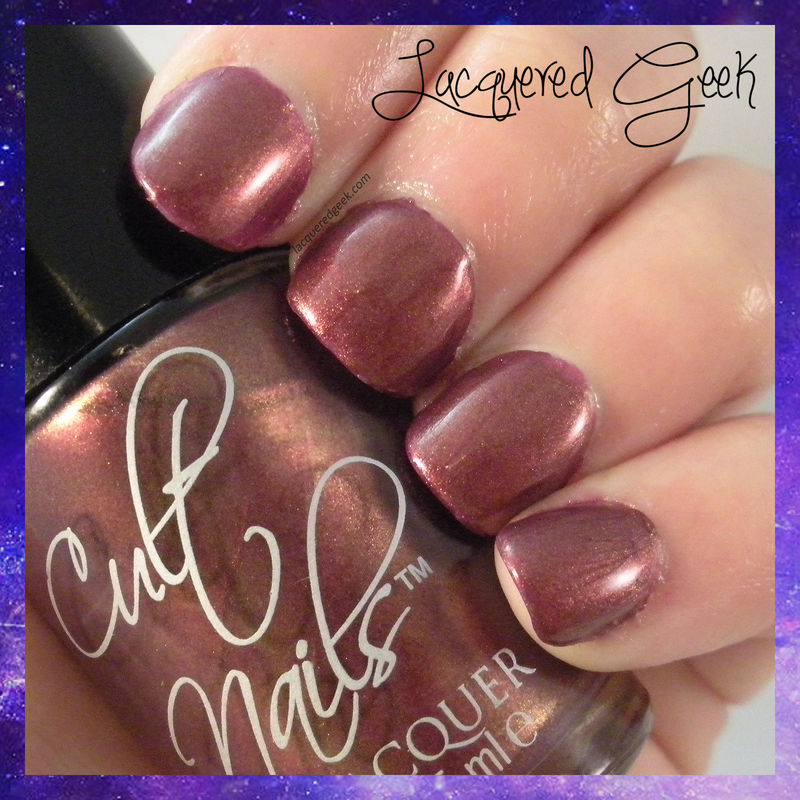 Wanna Be is described as a muted pink base with loads of coppery gold shimmer. 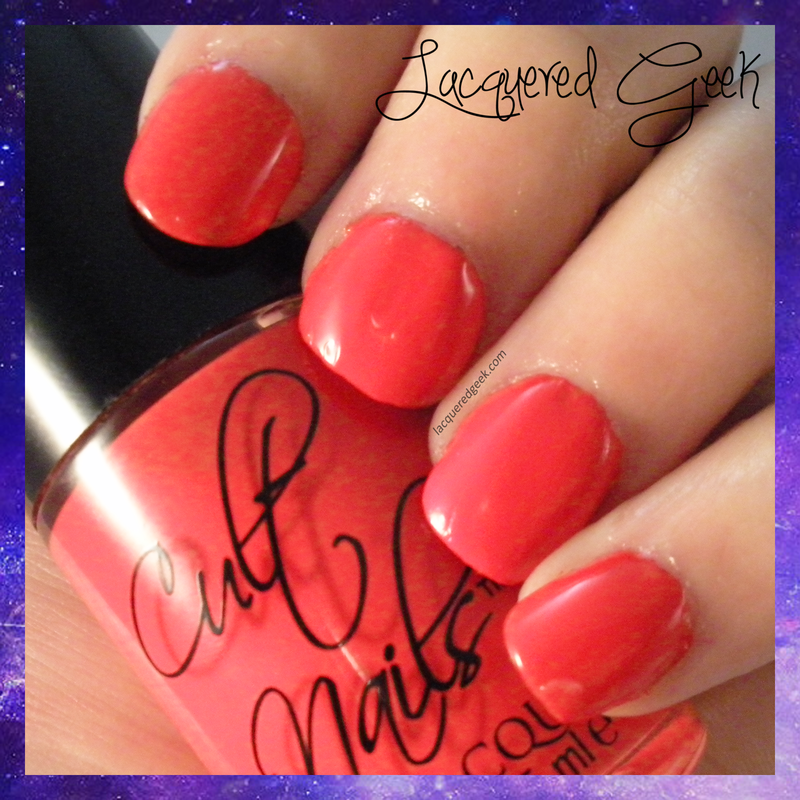 The formula was absolute perfection; it just glided on my nail. The "I'm Not Gone, Girl I'm Here! 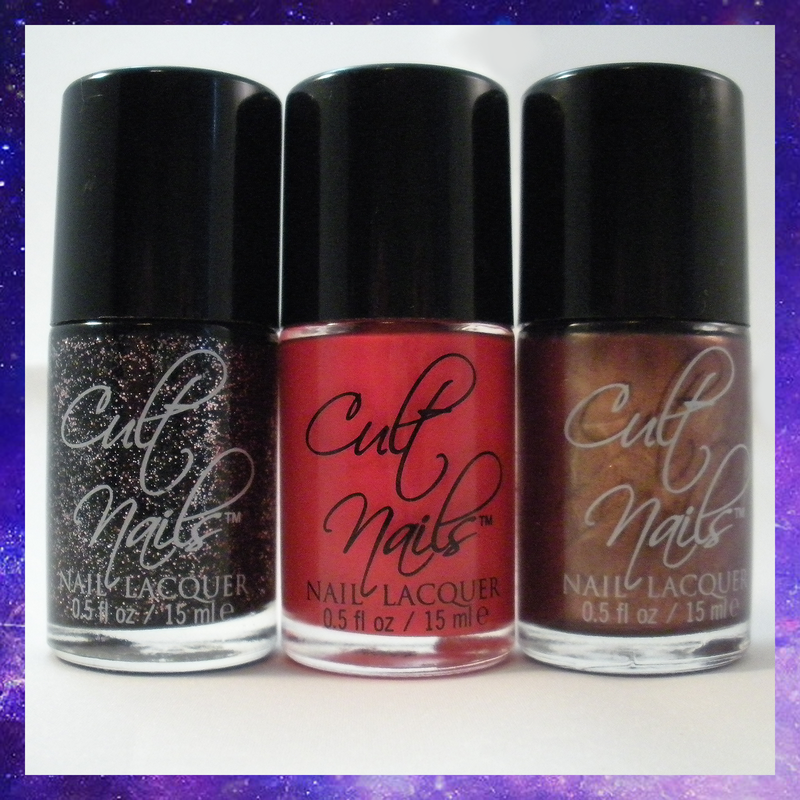 collection can be purchased from Cult Nails' website for $24.00 for the set. I love, love, love inescapable! 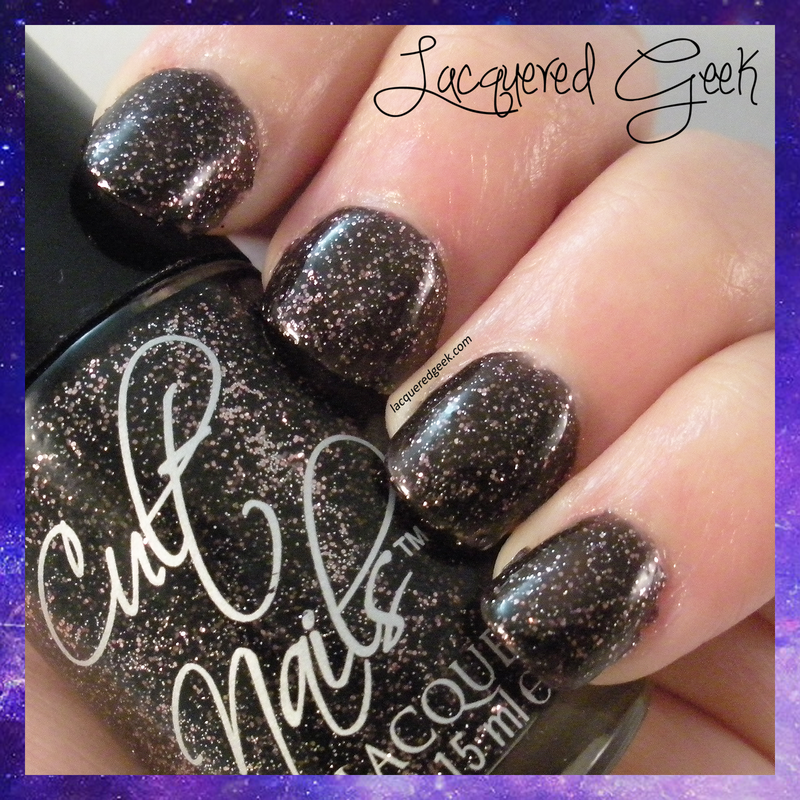 The glitter gives the black and edgy twist!